How To Make Money Off Youtube... A Down & Dirty Guide! Just made a quick video showing you how to make money off Youtube. Like the title suggest… It’s little “down & dirty” i.e it’s a quick over view of how to do it so I don’t really go into detail on how I do it but hopefully you’ll get the idea. There is a couple of things I want you to take away from this guide though. First thing is how I find hot products that are getting A LOT of attention at the moment (and as a result… Selling like hot cakes!). Now if you’re thinking this involves hours of tedious research… You’re wrong! in fact it’s very easy and only takes like 30 seconds to do. Basically find what’s hot then make a video about it… That’s it. Secondly (Which I don’t really go into detail in the video – because as I said before, it’s a down & dirty guide and it’s only meant to be a overview of how to make money off Youtube) is promoting high priced products. Promoting lower priced products, epecially phyical products like from Amazon etc gives you pennies to play around with. Ideally you want to be promoting really expensive products… In fact, the more expensive the better. 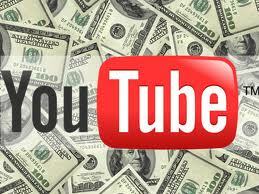 Here’s Your “Down & Dirty” Guide On How To Make Money Off Youtube! Another way of making money with Youtube is a method I talked about here: Can You Make Money On Youtube. I basically talked about simply activating the Ads feature within your Youtube account. These ads are basically Adsense ads that show up before and during the video, plus a banner by the side of the video (Do people actually click those banners?). But the point I’m getting here is… You can activate the ads feature while promoting affiliate products on Youtube as I’ve found this doesn’t effect the conversions of selling affiliate products whatsoever, so I would fully recommend activating the ads feature to bolster your Youtube income! Anyway, if you’ve learned something today or you just enjoyed my down & dirty guide on how to make money off Youtube, then don’t forget to hit one (or more!) of those funky lookin’ social buttons. This way I know you dig my stuff and as a result… I’ll make more of this videos for you guys. P.S. In the video, I mention a free program you can download from the description box. Well if you haven’t guessed already, it’s referring to the description box on Youtube (where the video is hosted), but if you still want access to it, you can get it here. Btw, if you’re on my Newsletter, I’m 99% sure you’ve already got it but if you’re new to my Blog then by all means… Check it out here. This is a great little video. Thanks for the tips. thanks James for sharing these tips and guide with us. I am also thinking to create youtube channel and I will monetise it but due to new policies it will be little difficult to get approval for monetisation so I am thinking to monetise using affiliate marketing. I am looking for that platforms and after reading a lot of articles I found this solution “www.revglue.com/blog-detail/24-monetise-your-youtube-channels-and-reviews-with-revsocial” looking very easy to use but I don’t have experience with affiliate agencies. please share your experience how i can monetise channel without adsense and what is the best solution for monetisation. If I had to monetise my Channel and I didn’t have access to Google Adsense, I’d probably opt for affiliate marketing. Another way is to sell your own merchandise using something like https://teespring.com. So if you’re the creative type, definitely check that site out.